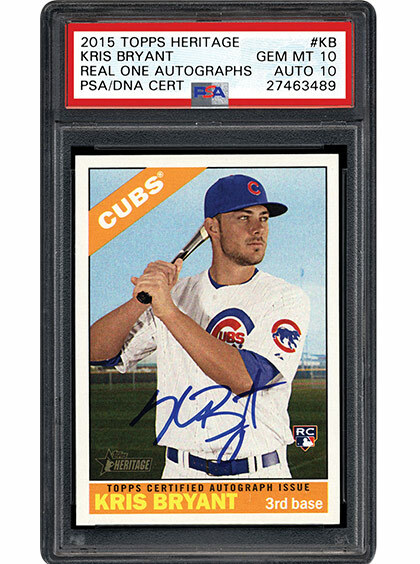 • Kris Bryant – Collecting the "Chicago Crusher"
Collectors are motivated by so many different things. Some are motivated by the hunt or thrill of the chase. Others are attracted to history or driven by the need to complete sets. 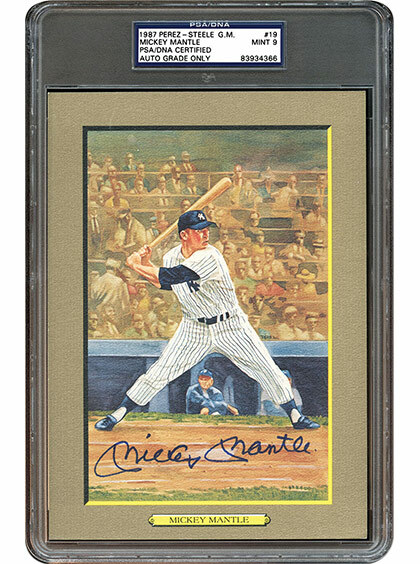 In sports, there are those thrilling moments that also inspire collectors. 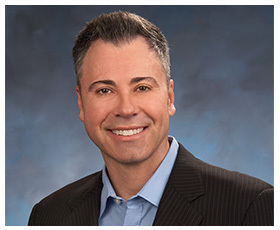 In the following editorial, PSA’s Joe Orlando shares his feelings from a recent event that created that magic. Kris Bryant – Collecting the "Chicago Crusher"
Kris Bryant has accomplished so much in such a short period of time. He has been named NL Rookie of the Year. He has been named NL MVP. He has already won a World Series. All of this has been done in his first two seasons. 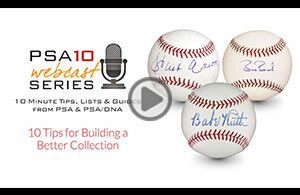 In the following article, we take a look at Kris Bryant collectibles and how the "Chicago Crusher" has captivated a large number of hobbyists. They look like Turkey Red (T3) baseball cabinets from the early part of the 20th century, but they are not nearly as old. 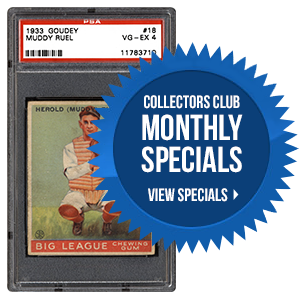 They feature baseball greats, eye-catching artwork, and have become one of the most attractive mediums for autograph collectors. In the next article, we learn more about the stunning 1985-1997 Perez-Steele Great Moments set. In the next five years, who will be the face of baseball? The annual PSA Set Registry Luncheon was held on Friday, July 28th in Chicago at the National. We had a packed room and the luncheon was a success! We wish to thank everyone who attended. For those that were not able to attend, we hope to see you next year! We’ll be posting pictures on our Scrapbook page within the next couple of weeks.